Before you can reach your learners you need to know how they learn best. Some students are visual learners. Others are auditory learners. The remaining are tactile-kinesthetic learners. You can find dozens of learning style inventories online. There are some that are web-based and many printable versions. Which you choose to use depends on the age level of your students, the depth you want to go, and the technology available. Your Talented and Gifted (TAG) coordinator may have some materials as well. Below I describe just three different options that informally identify students as Visual, Auditory, or Tactile-Kinesthetic learners. 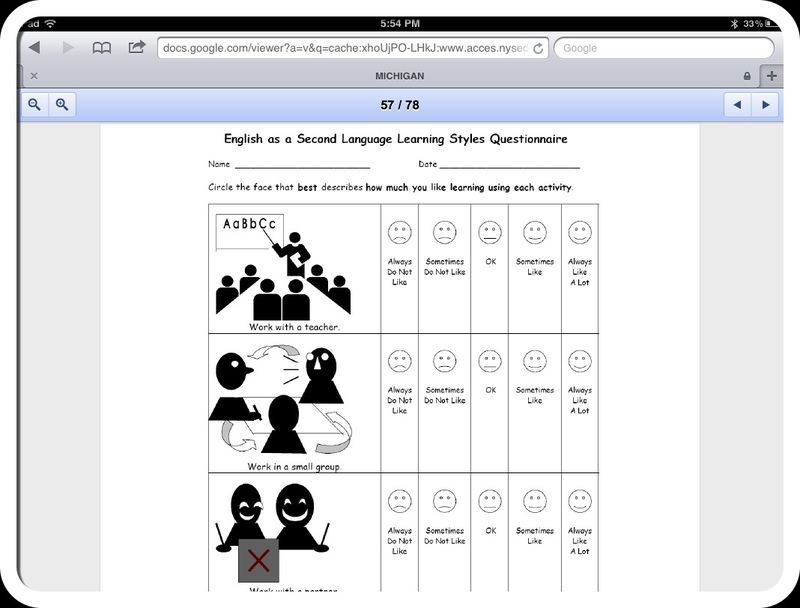 #2 Learning Style Inventory – This printable PDF file would be best suited for 7th-12th grade. 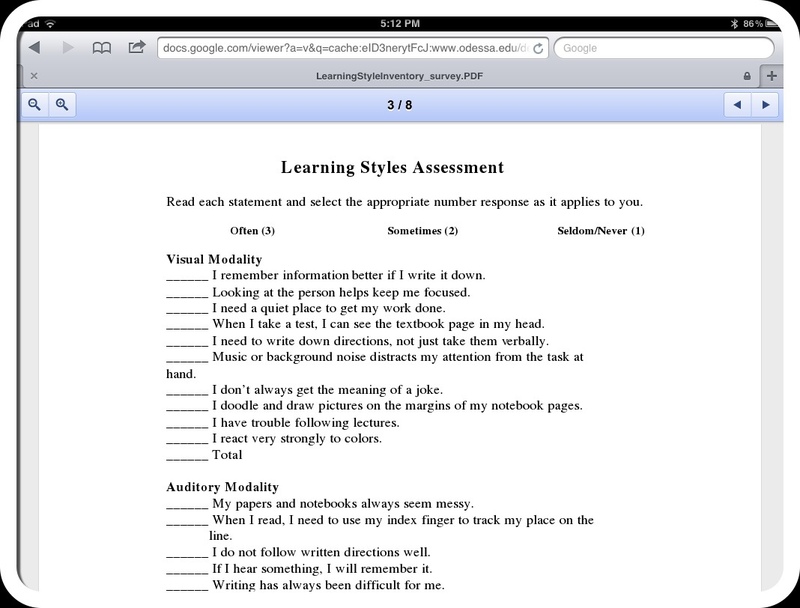 It has two options: a Learning Style Inventory and a Learning Style Assessment. After that, and best of all, there are 4 pages full of hints, strategies, and suggestions for each type of learner. These are practical, useful, real life ideas that will benefit students in all subject areas. #3 This link will take you to an pdf file of an English Language Learners Inventory. It has some cartoon-like graphics with each prompt. (FYI, the actual inventory starts on pg. 57) Check out the entire PDF. It includes a variety of surveys, tools, and ideas to use with ELL students. I think that this could be modified and used with very young children as well. As I already knew, I am a visual learner. My results were consistent with all of the surveys and inventories I took. Do you have a favorite tool you use with your students? Reblogged this on Kabar Pendidikan Luar Biasa.